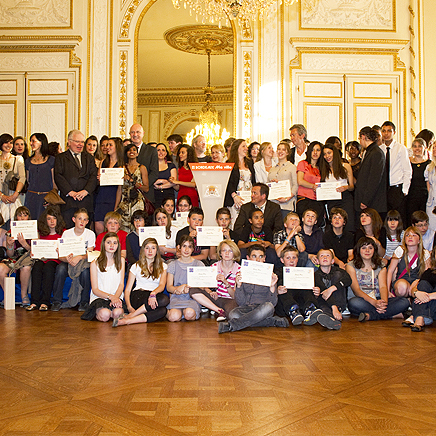 The Hippocrene Foundation, the French Ministry of National Education and the Europe-Education-Formation-France agency (ERASMUS +) are pleased to honour the five winners of the 2014 Hippocrene Prize for Education for Europe, at the Council of Europe, for their European partnership projects carried out by a class and its teachers. 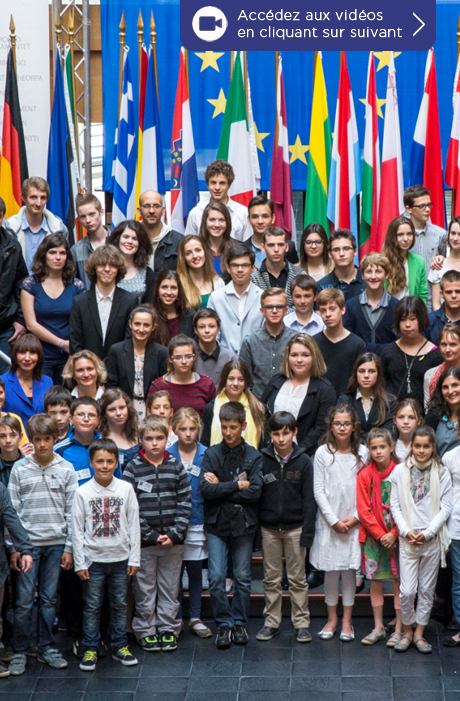 On 16 May 2014, the winning students and teachers for the five Hippocrene Prizes for Education for Europe are invited to the award ceremony that will take place at the Council of Europe in Strasbourg, organised in partnership with the ENA (École nationale d'administration) as part of the PEAP (European Centre of Public Administration). The award ceremony will take place under the presidency of Ms. Jocelyne Caballero, Permanent Representative of France to the Council of Europe, and of Ms. Ana Vukadinovic, Permanent Representative of Montenegro to the Council of Europe, in the attendance of Mr. Jean-Paul Jacqué, President of the European Centre of Public Administration (PEAP), Mr. François-Gilles Le Theule, Director of European Affairs at the ENA, Mr. Denis Rolland, Chief Education Officer of Dijon, and members of the jury. 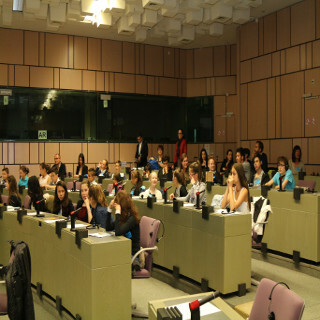 Thanks to the collaboration of the Council of Europe and of the European Parliament, students and teachers will benefit from a guided tour of these two institutions during the award ceremony, in order to better understand their internal operations and their respective missions in Europe. 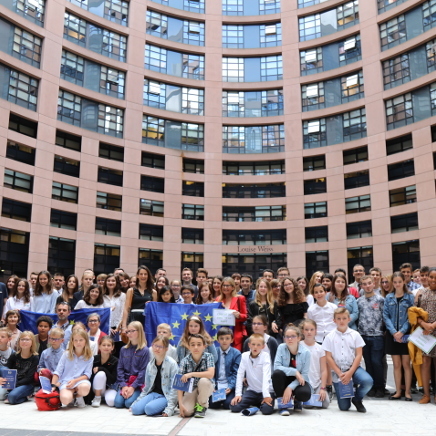 “We are very pleased to be able to reward teachers who contribute to developing awareness of European citizenship among youth through exchanges and encounters with young Europeans”, commented Michèle Guyot-Roze, President of the Hippocrene Foundation. 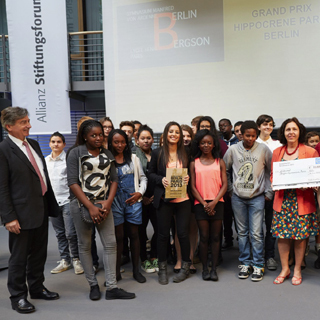 The Hippocrene Grand Prize was awarded to the André Malraux middle school in Paron, in the Dijon school district, for its pedagogical documentary project entitled “From Sarajevo to Sarajevo, 1914-2014”. 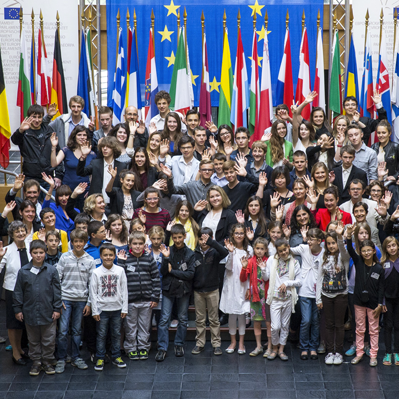 For the past 12 years, the André Malraux middle school in Paron (Yonne département), thanks to a motivated educational team, has been organising a “media action project” (projet d'action media or PAM) class entitled “Realising Europe” (Réalisons l'Europe). Its aim is to create a documentary film about European history every year with the mission of preparing future European citizens. For 2013-2014, the middle school in Paron wanted to focus the work of the PAM class on the centennial of WWI. Having already worked on WWI in 2008, the school wanted to renew its approach and work on the causes of this conflict: the film “From Sarajevo to Sarajevo, 1914-2014” addressed the issue of peace in Europe, beginning with the Balkan causes of the Great War, and prolonged this reflection up until the entry of these countries into the European Union as a possible prospect for sustainable peace. The Hippocrene Prize in the primary school category was awarded to the Viaur school in Tanus for its project “Thick as thieves”. The project originated with correspondence between classes from five European countries: France (Tanus), Spain (Bilbao), Ireland (Dublin), Greece (Limnos), and Finland (Helsinki). Through a community blog accessible to them all, 122 students could communicate with each other in order to carry out activities guided by teachers, group projects and personal projects. Through very simple exchanges, this project allowed students to discover that despite their differences (languages, countries, cultures, religions, foods, etc. ), they were all children of Europe and could accomplish things together. The Hippocrene Prize in the middle school category was awarded to the Louis Pasteur middle school in Noyon, in the Amiens school district, for its project “North-South: discovering other cultures and other ways of life”. The project was part of the sister-school programmes of three middle schools (skole Majorstuen in Oslo, Norway, IES La Cañuela middle school in Yuncos, Spain, and Collège Pasteur in Noyon, France). This year, 19 French students travelled to Oslo, 17 French students travelled to Yuncos and 17 Spanish students were hosted in Noyon. The “Spain and Norway” clubs stand out at the school through various student-driven activities and projects, contributing to a virtuous circle of exchanges and exposure to Europe. Their aim is to allow the school's students, many of whom are underprivileged, to learn about difference and tolerance in a concrete manner. 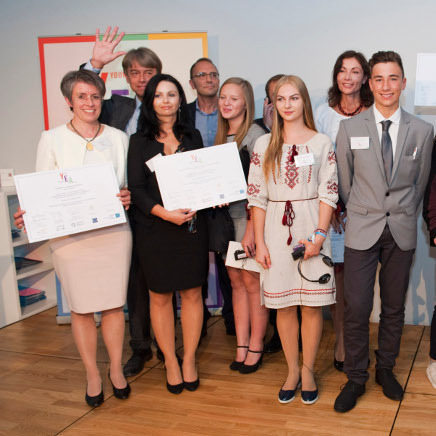 The Hippocrene Prize in the vocational secondary school category was awarded to the Yser vocational school in Reims (Reims school district), for its project “Integration of students in the Swedish workforce”. 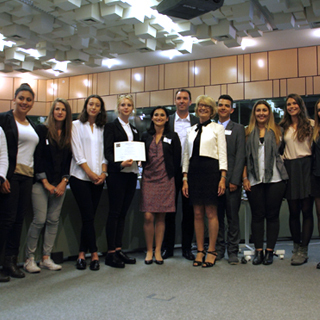 In the context of the school’s international relations, a partnership agreement with Sweden was signed in March 2013, allowing seven Swedish students to carry out an internship with a company in the business activity area of Reims. This experience proved to be very conclusive as it provided opportunities for rich interpersonal and professional exchanges. It allowed 14 students from different streams (carpentry, fitting work, commerce and sales) in their final year at the Yser secondary school to carry out an internship in Sweden. At the end of this mobility programme, not only could the students validate one of their training periods with a certifying company, but they could also receive Europass Mobility, certifying their European internship. In addition to providing an innovative work experience, this project helped improve opportunities for social, professional and civic inclusion. The Hippocrene Prize in the general and technical secondary school category was awarded to the Georges Dumézil secondary school in Vernon, in the Rouen school district, for its project “3 for 1, goal. Der soziale Tag”. 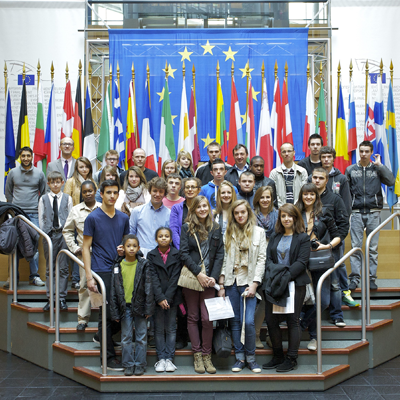 Within the context of this project, French students from the Georges Dumézil secondary school in Vernon (Eure) and German students from Humboldtschule de Bad Homburg (Hesse) - all in European classes – undertook, over a two-year period (the last two years of the French cycle/grades 11 and 12 in the German cycle), to help young African students from Mwanga High School, situated in the district of Arusha in Tanzania, one of the poorest countries in the world. 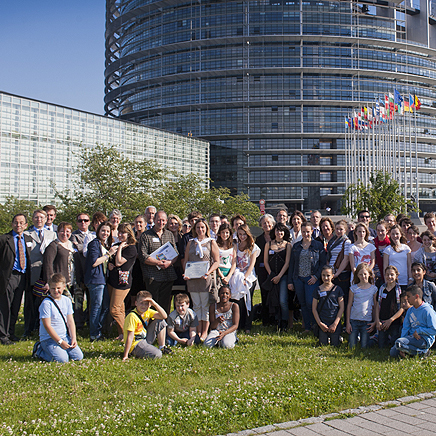 The project was a European act of solidarity among youth. From 6 January to 15 February 2014, primary and secondary classes and schools from the public and State-subsidised private education systems in the 30 school districts of France were able to submit an application to their district. 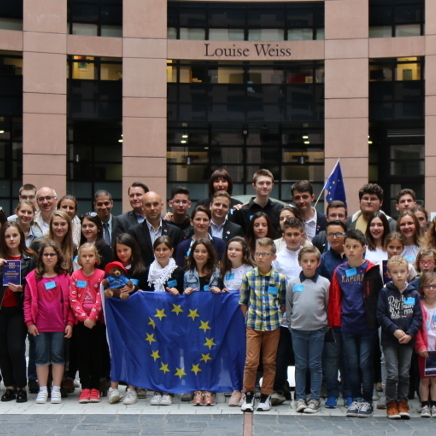 The applications were to present an original project developed by a class with its teacher(s) in the area of European citizenship. Within the context of mobility, projects were to focus on the discovery of another culture and encounters and exchanges with young Europeans. Applications were received and preselected by the school districts. For this fifth edition, 22 school districts participated in the competition and selected the best project in each category. A preliminary jury reviewed the 53 applications received and designated three finalists in each of the four categories. The final jury designated the five winners.